This was the post I intend to post on Monday, but better late than never! 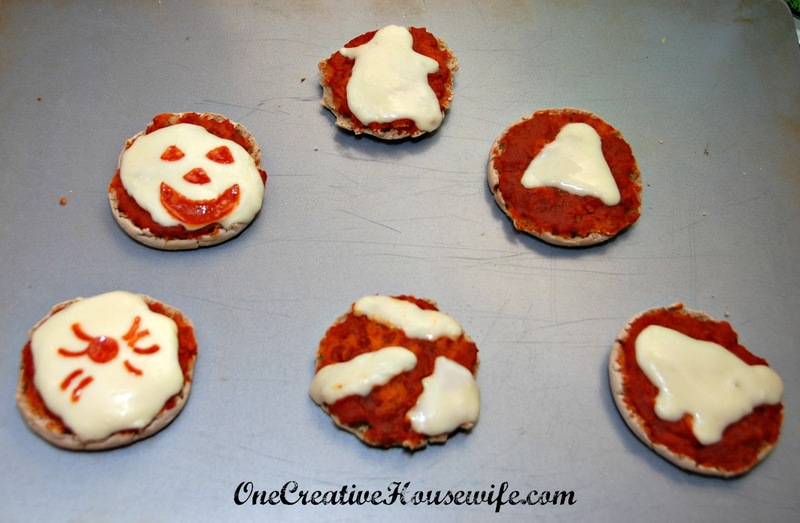 This past weekend we decided to make some fun Halloween pizzas for lunch. 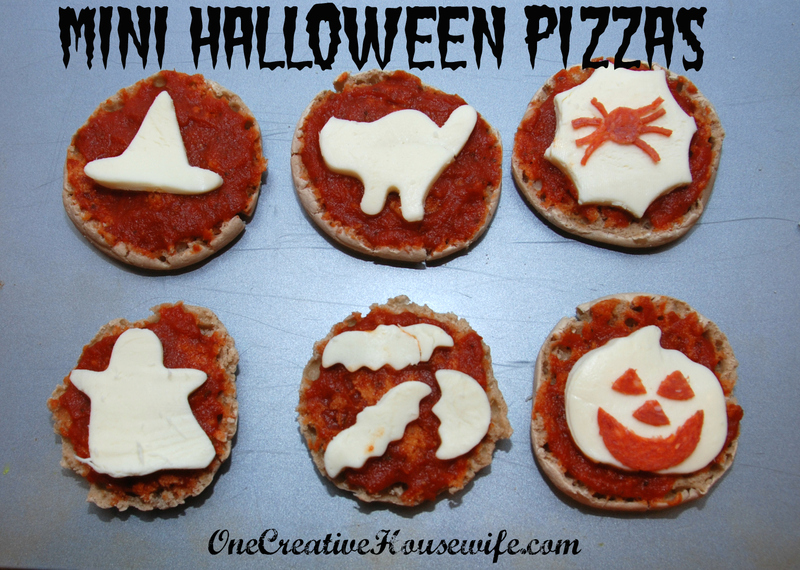 Mini pizzas are a favorite in this house, because they are easy to make and super tasty. The pizzas are easy to make, just take half an English muffin and top it with some pizza sauce. Then slice up a ball of mozzarella cheese, and cut the slice into shapes with cookie cutters. You can decorate with any other topping you choose. I just used some pepperoni on two of them, but you could use olives, peppers, ham, etc. Place your pizzas on a baking sheet and bake them in 350 degree preheated oven. They take about 10 minutes to bake. Some of the shapes held up better in the oven than the others but they were all tasty, and let's face it that is what really matters.